This post is as much a wish as a salute. Until the past month, the summer of 2016, in the most positive way, could be described as “lush.” In Ohio Valley terms, that translates into: humid, muggy, “close,” saturated, and “chewy-aired.” The air has become drier but temperatures have remained in the upper 80s and into the 90s which is uncharacteristic for this time of year. We are in dire need of rain and cooler temps. In short: we need fall. But, like my photos from the Kentucky State Fair, I will need these images of summer when fall is over and I find myself in the dark, gray, cold days of winter. I took these photos in 2010 during a Labor Day getaway to northeastern Kentucky, a region of the commonwealth new to my travels. My home away from home was Blue Licks Battlefield State Park, a resort built on the site of a conflict considered by many historians as the final battle of the Revolutionary War. This park has several interesting aspects and I recommend that any/all of my gentle readers make a visit. In the Blue Licks neighborhood is this lovingly restored covered bridge spanning Johnson Creek. According to John Hultgren Photography’s Bridges to the Past series, the structure was nearly lost to time and vandalism but visitors today would never know that. 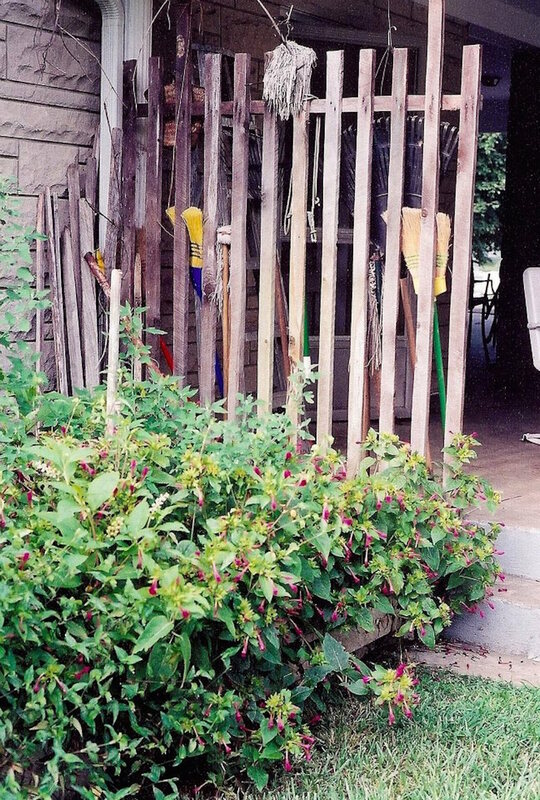 If these timbers could talk, they’d have quite a tale to tell. 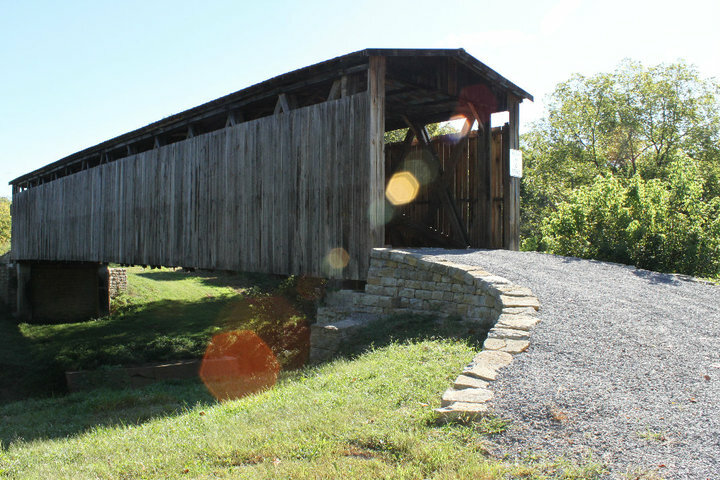 I ran across this updated list of Kentucky’s covered bridges. (Thank you, Dale Travis!) I’m overdue for a visit to another of these treasures. For now, here’s my “bookend to summer.” Bring on the rain and the fall!